To better address your needs, and to maintain and improve our level of excellence, MS now uses cutting-edge technology. All our trucks are equipped with a GPS device and can be tracked in real time. This helps us monitor your products at all times. 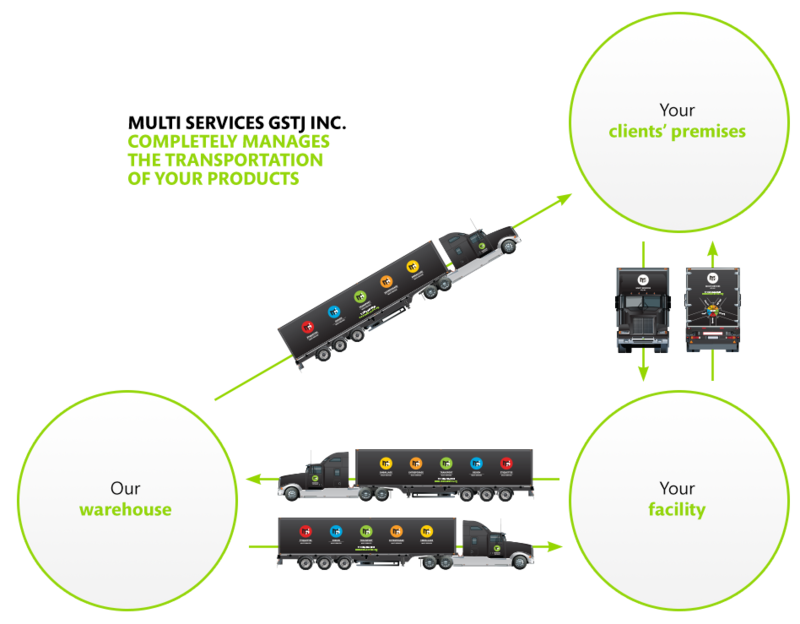 MS completely manages the transport of your products between our warehouse, your facility and your clients’ premises. This translates into significant time and cost savings while ensuring a reliable and consistent supply. Our truck fleet allows us to deliver products on demand every day in Quebec, Ontario and the Maritimes and the U.S.